Nothing on this website is for sale. 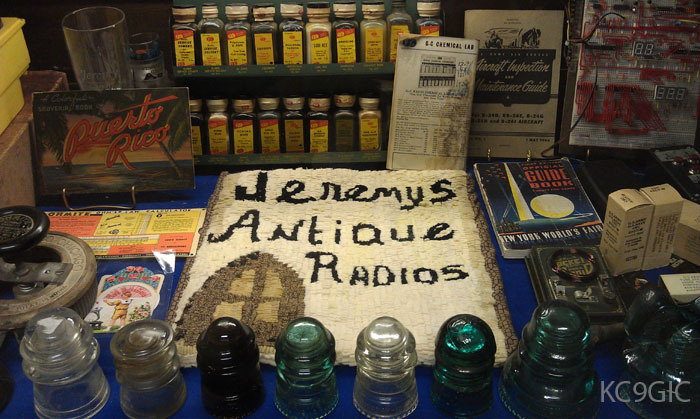 While I do sell items occasionally, I usually list them on the Antique Radio Forums - Classifieds. I am not an expert when it comes to radio and electronics, but I will try my best to answer your questions or refer you someone who can. I lead a very busy life, so at times expect long delays with me responding to your email. I do try my best to respond in a timely manner. Before asking where to find or purchase parts and literature such as manuals and schematics, try some of the places on my Links page. If you have basic questions concerning value, identification, or rarity of a radio, you would probably have better luck searching or posting on the Antique Radio Forums.